Menorah in the D to honor 8 in their 8’s and pay tribute to Pittsburgh shooting victims. Bringing light to the world around us is always an important theme of Chanukah, which begins at sundown Sunday, Dec. 2. 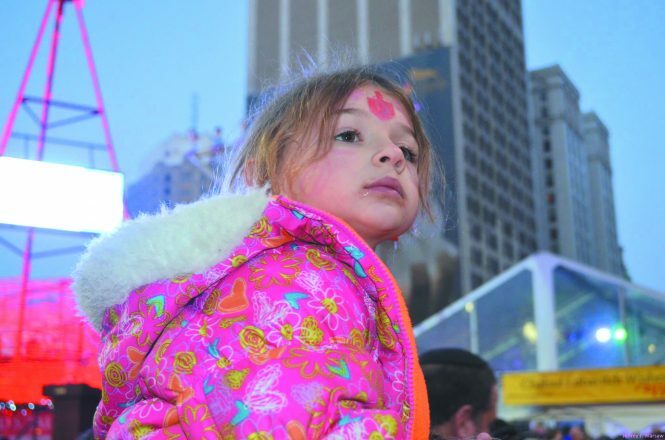 In Downtown Detroit, the eighth annual Menorah in the D will launch Chanukah in the city in spectacular fashion as thousands of individuals and families gather Sunday beginning at 4:30 p.m. in Campus Martius Park to light a larger-than-life steel and glass menorah. This year’s celebration will have special meaning in the wake of the deadly Oct. 27 shooting at Tree of Life synagogue in Pittsburgh that claimed 11 lives. “We take strength from the menorah, always increasing in light, as the best possible way to combat the darkness that swirls around us,” said Rabbi Kasriel Shemtov, spiritual director and founder of The Shul-Chabad Lubavitch in West Bloomfield. “On each of the eight nights of Chanukah, we add another candle, generating more and more light. Ariella Bednarsh, now 8, will be honored at Menorah in the D.
Organizers will pay tribute to the 11 victims during a ceremony that will also honor eight Metro Detroiters in their 8’s — from ages 8-98. The honorees were nominated by members of the community and selected for the light they bring to those around them. The honorees are Brandon Fealk, Rachel Lutz, Dr. Jacob Parzen, Aaron Gendelman, Dr. Marc Borovoy, Dr. Erika Bockneck (whose uncle survived the Pittsburgh shooting), Ariella Bednarsh and Martin Abel. Family members say Ariella Bednarsh, 8, of Shelby Township is the only Jewish student (aside from her little sister) at the elementary school they attend in Utica Community Schools. Ariella has made it her mission to educate everyone about the Jewish holidays. Every year, she invites friends over for Chanukah so they can experience the holiday. For several years, Ariella has also donated gifts to others in need through the Macomb County nonprofit Friends of Foster Care. She’s attended every Menorah in the D since its inception. Martin Abel, 98, with Rabbi Kasriel Shemtov. 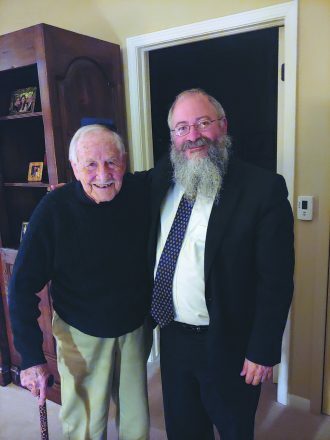 Also being honored is Martin Abel, 98, of Birmingham, a founding member of The Shul and a retired manufacturing engineer, inventor and entrepreneur. Detroit Mayor Mike Duggan, Michigan Attorney General-elect Dana Nessel and many dignitaries and elected officials are also scheduled to attend. 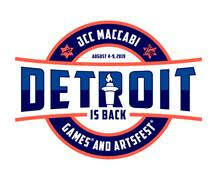 As in years past, Menorah in the D will feature a family-friendly celebration that’s free and open to the public with strolling street performers, face painting and balloon sculpting, marshmallow roasting pits, complimentary snack bar including KIND bars, hot soup, hot cider and Chanukah cookies from Chef Cari, plus a kosher food truck with food for purchase. There will also be glow-in-the-dark giveaways, a mitzvah station and more. 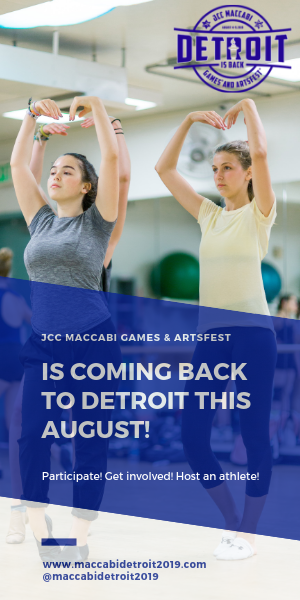 The event is hosted by The Shul-Chabad Lubavitch in partnership with the Jewish Federation of Metropolitan Detroit and Chabad of Greater Downtown Detroit, along with generous support from DTE Energy, Quicken Loans and various other sponsors. 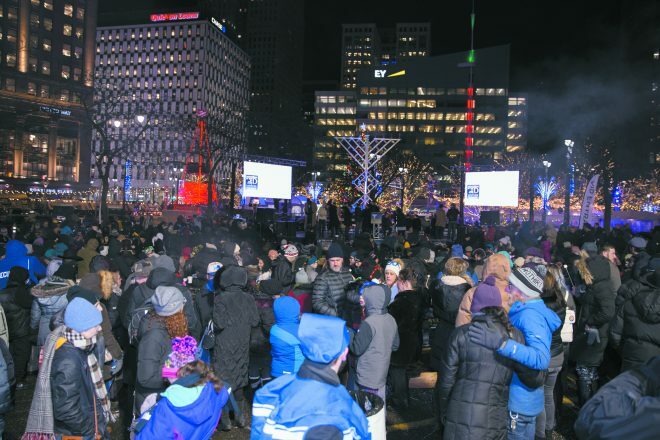 Menorah in the D begins at 4:30 p.m. Sunday, Dec. 2, in Detroit’s Campus Martius Park with family-friendly activities; the official menorah lighting takes place at 5 p.m. Learn more at menorahinthed.com.